Bill Ackman is risking his investors&apos; money on a "vendetta" with his $1 billion short position in Herbalife, Robert Chapman of Chapman Capital said Wednesday on CNBC. 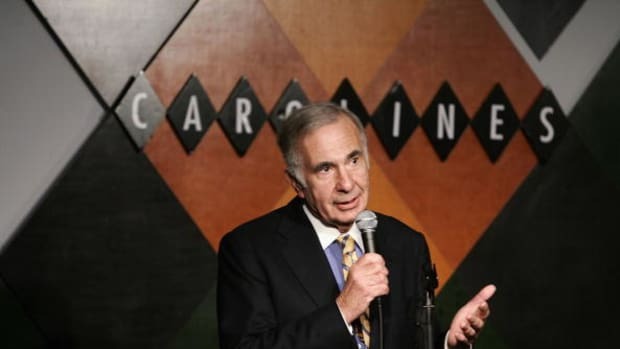 "I am confident that as long as Pershing Square&apos;s investors allow Bill Ackman to spend millions of dollars of their money on his personal vendetta, that that guy will never walk into a trading room and voluntarily hand someone a &apos;buy&apos; order in Herbalife," he said. "I truly believe he&apos;s a guy who probably has a poster from the movie &apos;300&apos; hanging over his bed." On "Fast Money," Chapman said that he didn&apos;t expect Ackman to cover his short position. "He&apos;s not trained in the fine art of surrender, and when he&apos;s putting his investors&apos; financial lives at risk, I think he&apos;s just going to keep going forward," Chapman added.